The effects of rain and artillery. 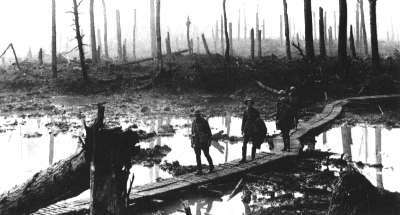 Canadian 2nd Division, Passchendaele, 4-Nov-1917. Mud. 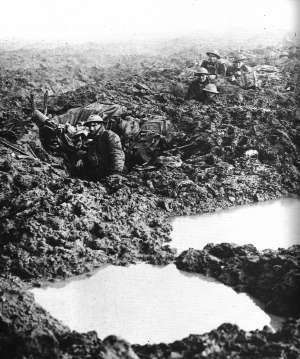 Canadian 4th Division, Passchendaele, 14-Nov-1917. 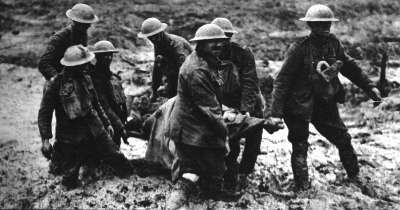 British stretcher bearers. 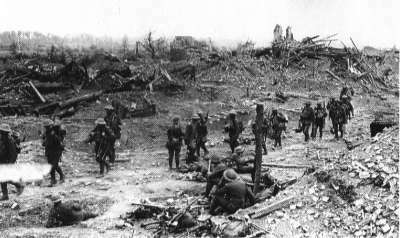 Pilckem Ridge (near Boesinghe), 1-Aug-1917. 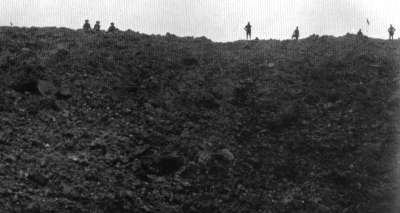 View from the bottom of a mine crater. 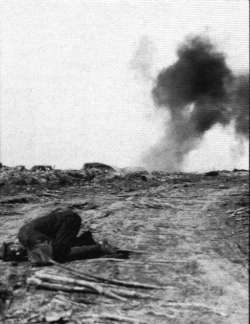 1 of 19 exploded by the British at Messines Ridge, 7-Jun-1917. 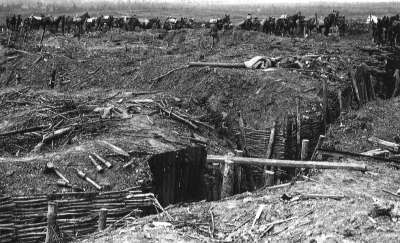 An Australian trench at Messines Ridge. 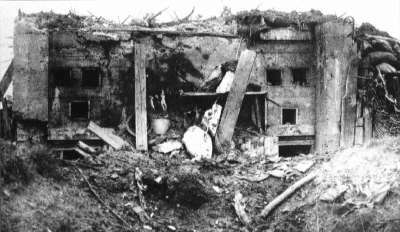 A German pillbox knocked out of action at Messines Ridge. 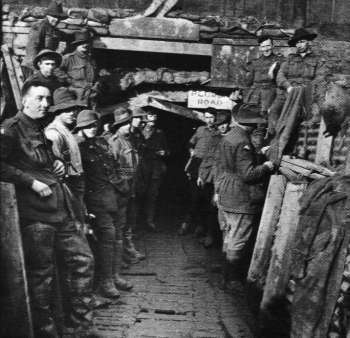 Taking cover from a shell burst at Pilckem Ridge. 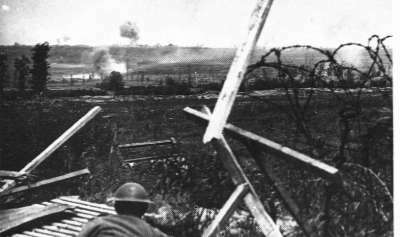 Shells burst on the Menin Road looking towards Zonnebeke, 20-Sep-1917. 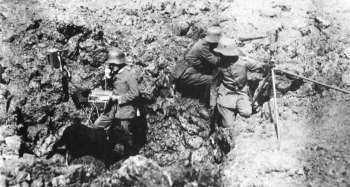 Forward German radio post. Duckboards through Chateau Wood. 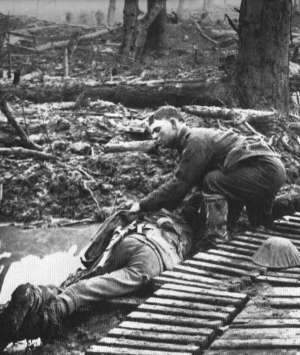 Identifying a fallen comrade, Chateau Wood. 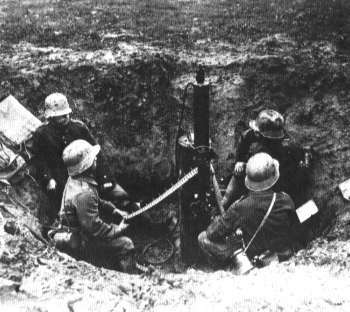 German anti-aircraft hole. 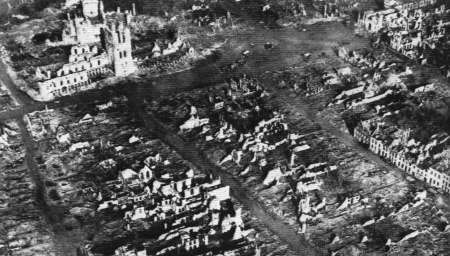 Ypres in the fall of 1917. A town destroyed by three years of fighting. 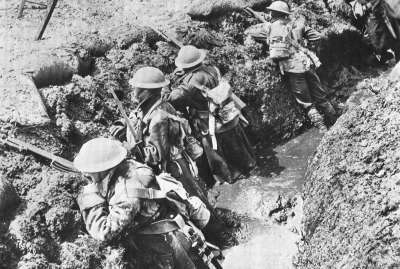 British infantry knee deep in mud. 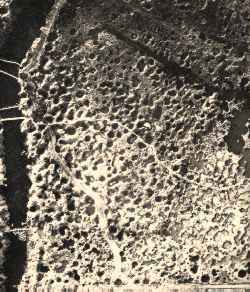 An abondoned German trench at Messines Ridge. Note the hand grenades that were left behind. 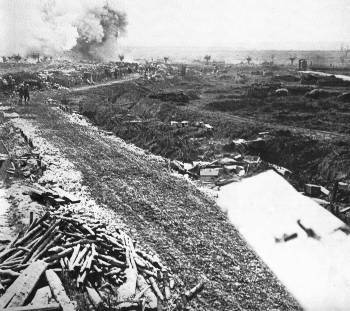 A view of the artillery bombardment of Messines Ridge. The 16th Irish and 36th Ulster in the ruins that were once the village of Wytschaete. Jun-1917. 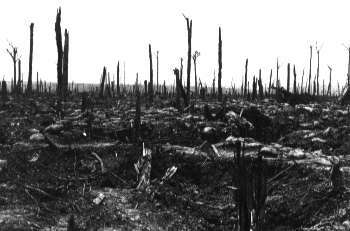 Osttaverne Wood, Jun-1917.